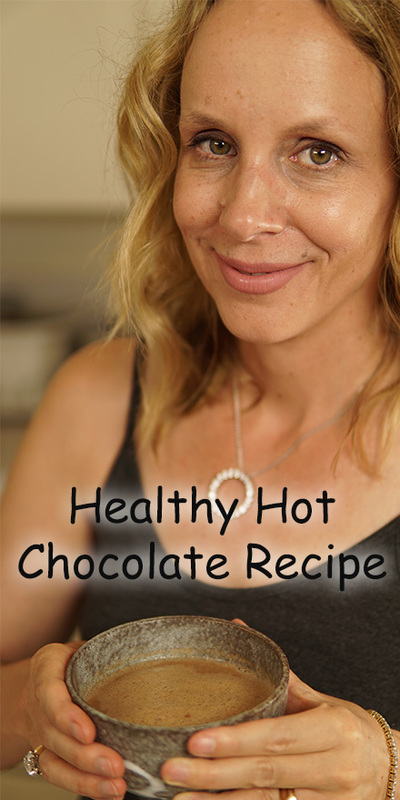 Hi I´m Melissa from Yoga Lifestyle with Melissa today we are going to make healthy hot chocolate. If you are new here we put out a video like this every Tuesday. We also put out a vlog on Mondays at 9 am PT and we answer your yoga questions on Wednesdays at 9 am PT so be sure to subscribe so you don´t miss a single video. If you like this video, thanks for pressing that like button and let me know in the comments what you like about the video. Today I am going to show you how to make healthy hot chocolate using Harmonic Arts 5 Mushroom Drinking Chocolate. 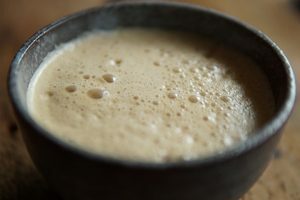 This hot chocolate mix includes 5 medicinal mushrooms: reishi, cordyceps, turkey tail, chaga and lion´s mane. Reishi – calm your mind and lower your cortisol levels. They are a calming mushroom that will lower your anxiety levels and also regular your hormones. Cordyceps – known as the miracle energy booster. They are an adaptogen that activate the body’s own energy production at the cellular level. Turkey Tail – mushroom with amazing immune boosting and anti-cancer properties. It is believed to support digestion and aid in the overall recovery process. Lion’s Mane – improving your memory, boosting creativity and helping concentration by activating your nervous system and your brain. Today our hot chocolate recipe could not be simpler! Directions: Warm the ingredients in a saucepan on the stove over a medium low heat. Blend in a blender for a frothy treat. Reishi to calm, cordyceps for energy, turkey tail for immunity, lion´s mane for your brain or chaga for its antioxidants.